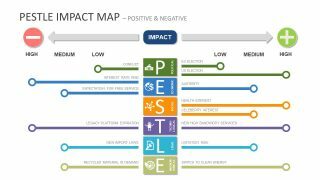 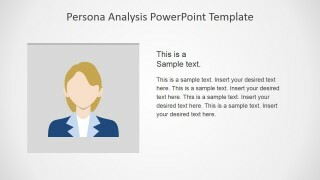 Be assured of a visually-stimulating, interactive presentation with this Persona Analysis PowerPoint Template. 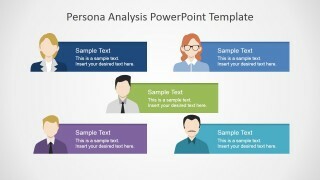 This PowerPoint template is specifically designed to showcase important business information through its professional, yet endearing, minimalist style, as the template can be used to create a meaningful business presentation with an intricately organized outline, that covers all of the relevant information which the presenter wishes to include. 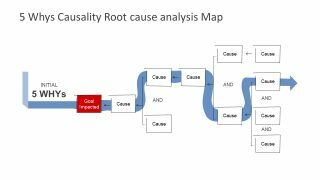 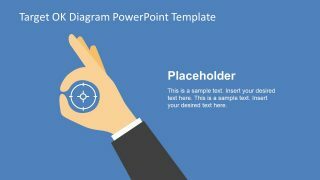 The minimalist vector diagram illustrations featured on the PowerPoint template provide a colorful and creative visual aid to supplement the text and statistics on the PowerPoint slides. 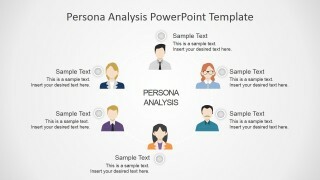 The PowerPoint graphics can be found on each of the slides, representing the different elements of persona analysis which the presenter wishes to show. 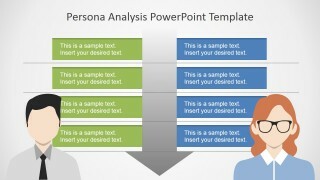 Different points of interest, focusing on a specific aspect of the presentation, can be found on the PowerPoint slides, in order to maximize the information to be shown to the viewers, while also ensuring that the slides are not redundant and encompass all the bases that need to be covered. 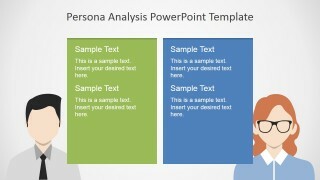 The PowerPoint slides may be used to showcase marketing segments, as in a single marketing team or department. 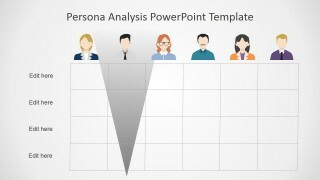 The information found in the slide designs may be useful to human resource departments looking for prospective employees for middle- and top-management positions, and to marketing teams who are exploring new focus groups for the company’s product and services. 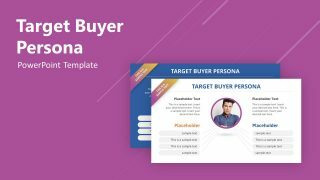 Found in the PowerPoint template are presentations designs for profile and description layouts suitable for persona definition, as well as diagrams and illustrations ideal for presentation of market segmentation and market segments. 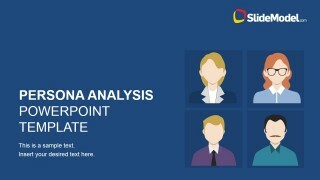 The PowerPoint slide also include a timeline PowerPoint graphic, which may be used to demonstrate the schedules set for research, background investigations, interview appointments, and hiring dates. 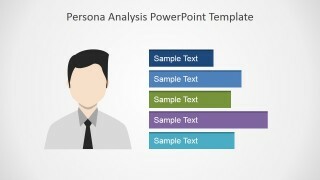 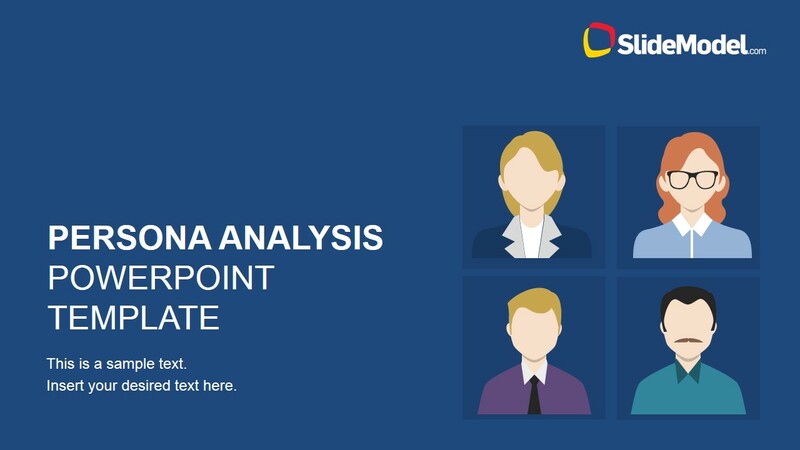 The Persona Analysis PowerPoint Template is most suitable for the presentation of different customer types and consumer behavior, to be used in marketing strategy demonstrations and proposals. 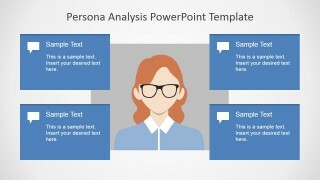 The presenter may even modify the slides to fit the target audience, and be guaranteed of an interactive, visually-appealing PowerPoint presentation that will appeal to professional audiences. 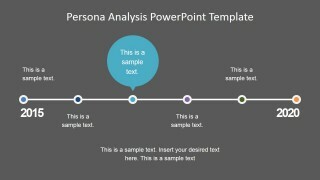 When used as a tool for human resources, the presenter may also consider downloading other templates featuring employee performance, like the employee skills PowerPoint template.